PACKAGE BEES go on sale every year at 12:01 am January 1. They sell out within only a week or two. It's important to make sure you know how to keep bees. Many newbies to beekeeping lose their hives either the first year or the first winter. We have put together an ONLINE Basic Beekeeping Course designed to help you keep your new hive alive. Queens are available in late May. Please read the following first before scrolling down to order bees (Jan1, 2019). Individual Package Bees go on sale on January 1, 2019 online only at honeybeesonline.com. Last year the single packages sold out in about 2 weeks, so don't delay! If you are looking for complete packages (hives, equipment, and bees) check out our Hive Kits. 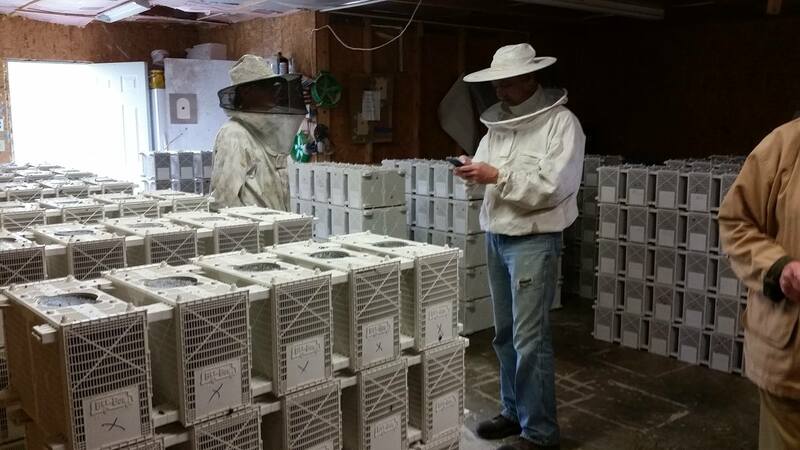 Going on our 11th year providing bees in Central Illinois, our bees spend time in Wisconsin, where they are then taken to Florida to build up fast enough to come back to Illinois by late April. (Did you know? All package bees in the US start out in the south.) Our queens in the packages are from renown David Miska. Gentle bees, Italian strain, work well in our climate. 3 lbs with queen in the new "Bee Bus" packaging. Pick up will be at our Training Center located at 14556 N 1020 East Rd in Fairmount IL ( 2 hours south of Chicago, 1/2 hour east of Champaign-Urbana, 1 and 1/2 hours west of Indy). We recommend only customers within a few hours drive to pick up from our location. After placing your order, look for a special email and video from David to tell you more about Package Bee Pick Up Date!! Meanwhile, check out our beginning beekeeping workshops coming this spring (it is the first in a series of 3 classes that we recommend you take that includes a Day in the Apiary scheduled for summer, and Overwintering Your Bees scheduled in late summer). We also recommend reading First Lessons in Beekeeping by Keith Delaplane, Honey Bee Biology and Beekeeping by Dewey Caron, Storey's Guide to Beekeeping or Langstroth's Hive and the Honey-Bee by L.L. Langstroth. Take care of your bees during winter and you will not have to replace them with a new package from year to year. Check out our video on feeding bees our Winter-Bee-Kind feeding system during the winter.